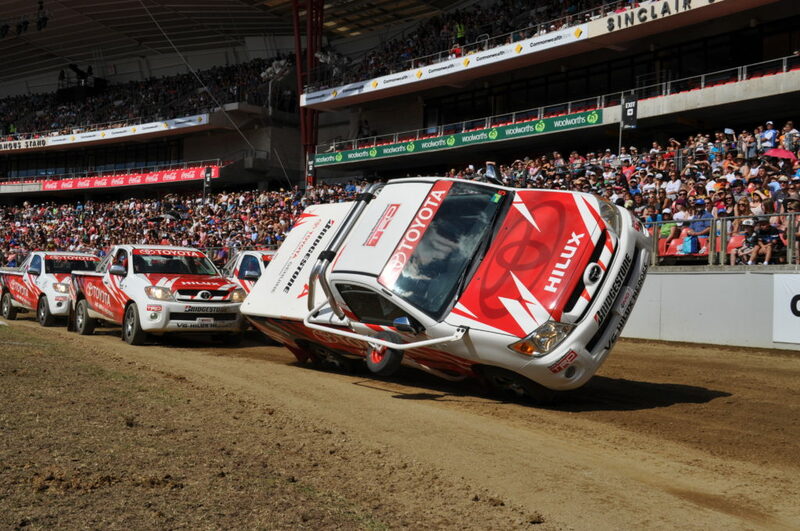 He and his stunt team perform an extremely dangerous vehicle maneuver known as, Sidewall Skiing. 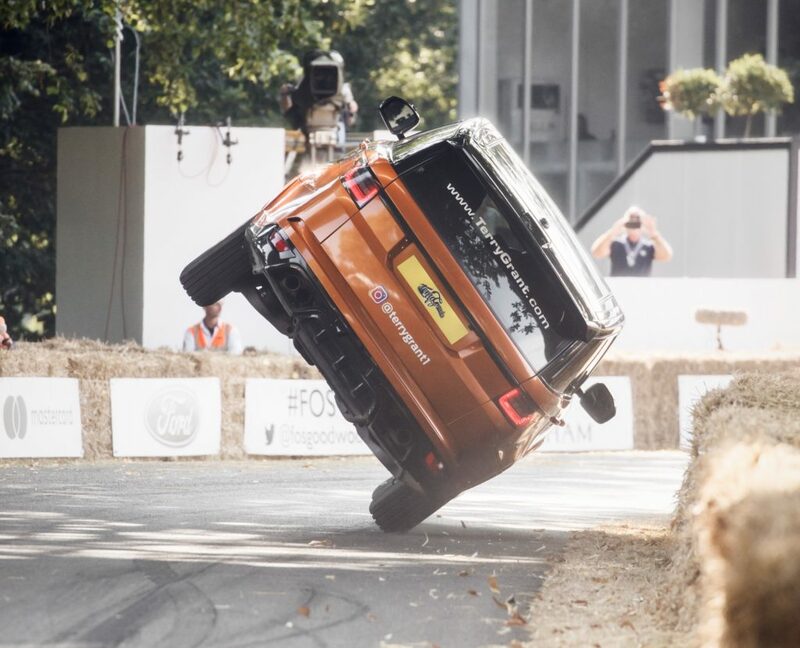 The essence of the stunt is to balance and drive a vehicle, whether it be a car or SUV, on two wheels for a considerable distance without flipping over or worse. 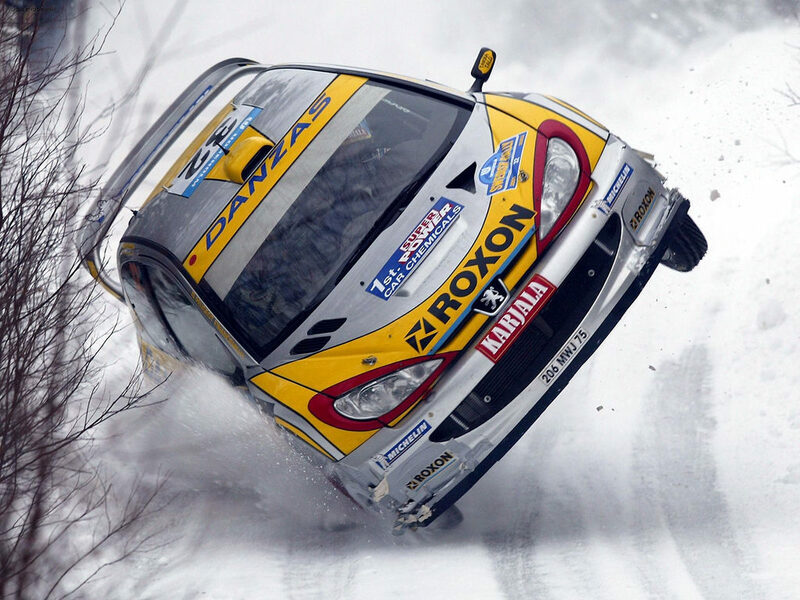 The “Impossible Group” has perfected this drift sport in ways that defy imagination — going so far as to change tires while “skiing” desert highways on two wheels. It’s jaw-dropping footage to watch. 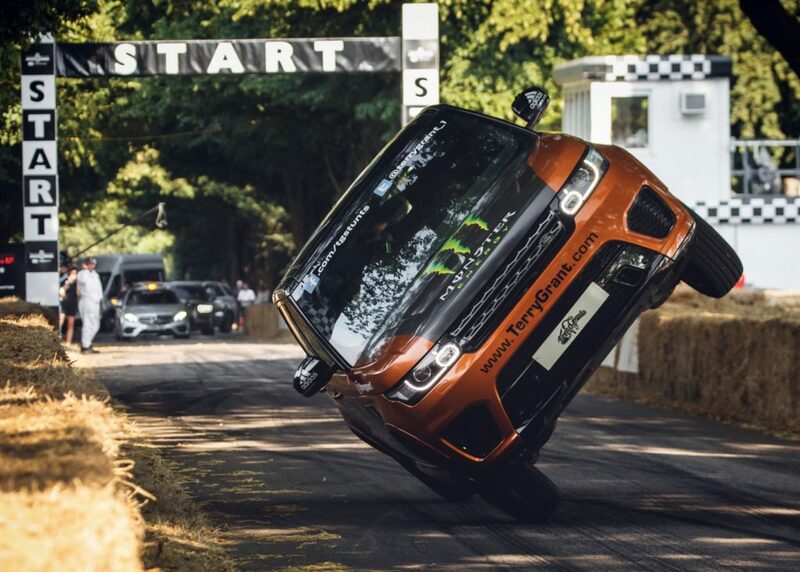 Now think for a minute how this albeit crazy stunt could benefit race car drivers if they never had to pit to change tires. They could simply stay out on the track, continue to do laps, and maintain position all while their team added a fresh new set of racing slicks to the vehicle. Although highly unlikely, the point is this ... what once seemed impossible — that of changing the tires on a vehicle while driving — is now reality. Captain Al-Mustaheel and his “Impossible Group” have done it. But what if you could do the same kind of thing for your website? Consider your latest RFP (Request For Proposal). What was the standard response you received from agencies courting you to help? All too common their approach is based on “Waterfall” methodology. A strategy focused on the completion of project related tasks in sequence, flowing downstream like a waterfall. There is little flexibility this way and few opportunities to know whether your website will successfully perform until the very end. This puts extraordinary pressure on you and your team to guess what will work on your site and what won’t. If you were piloting a race car you’d have to pull off the track into the pits to undergo this extensive kind of overhaul. This is the routine approach that many follow. And while there are certain situations when the “Waterfall” model may serve for a time, it often has limitations related to website development and maintenance. But think if there was a new approach to rebuilding your website. One that didn’t require you to “exit the race” in order to make the changes necessary to throttle your digital marketing race car to the front of the line. What if rather than pulling your site offline to improve it, you could change its “tires” — IE optimize its pages — all while keeping the site live and working for you to sell and generate new leads. This idea is simple in nature … yet powerful when applied. It is an approach that could enable you to completely overhaul your website while investing little out-of-pocket and maintaining positive cash flow. What Do You Really Want to Happen? Before you begin any work on your website, it is important to think through the main changes that you would like made. Consider how long your website has been in service. Has it accomplished what it was designed to do? If your answer is yes, what were the key elements that enabled it to accomplish this purpose? If not, what was missing from your site that caused it to not perform well? Is your website designed to sell products or generate sales leads? Is it intended to be more of an online business card or blog news outlet? What elements of your website do you think could be most easily optimized to better accomplish this purpose? Write this information down and refer to it often as you continue working through your website improvement process. Next, decide what the “goal” page should be on your site. This is the page to which you will drive traffic in order to convert them into email subscribers and paying customers. Is everyone on your team in agreement that these totally unique and separate pages are how you’re going to track conversions — how your going to know whether or not the changes you’re making to your website are successful? Keep in mind, there are very real and definable ways to make these determinations. Each of your product and service offerings are likely to be different and therefore should be approached in a unique and special way. Thus, it is important you take the necessary time or get the appropriate help to identify these key factors at the beginning of your project. It will make a big difference down the road as you compile messaging and imagery for your website. Just like climbing a fruit tree, go for the low hanging fruit that’s easily within grasp. Don’t try to pick the apple at the top of the tree without picking the lower apples first. This will make a significant difference in your approach and in the amount of money you’re able to generate starting out. Make the obvious changes to your website that you know will lead to conversions before tackling the more challenging revisions that will take longer for you to see a return. Think about it this way … you want to change your tires on the racetrack NOT your engine. Optimize only one page for success at a time. Do this before you begin moving on to the next page and the next. The reason for this is if you begin to optimize one page, and then fail to complete it before moving on to the next, you will not learn about your audience, their messaging, and what’s working that engages them to sign up and buy your products and services. When it comes to creating content, the most important thing you can do is to make sure it’s infused with value for your target audience. Does your content address their fears, uncertainties, and doubts? Is it easy to read and to navigate? Does it pull your reader through the copy like a needle pulls thread? Does it compel them to take action? Is it entertaining to the point they will want to share it on social media? All these things contribute to the value you are providing your audience. So work on it or hire a professional to help you. In this business, it is the data that tells you whether or not a message is resonating with your target audience. You can continue to make ongoing adjustments once you have dialed in the basics and know with some level of certainty that the page will perform as desired. If it does not perform in this way, go back and continue working to refine it as best you can. You should begin to recognize specific ways in which your targeted personas engage with the visuals and messaging on your website. You want to be keenly aware of these things and implement what’s applicable on subsequent pages. This is where the power of an “Agile” approach pays off and you start to build increasing momentum over time. Remember, as you continue to move forward you are optimizing each page so that it contributes to your bottom line right away. It’s like a Prius commercial, everything begins to bloom and grow as you “drive” past it. This success happens one page at a time — like changing tires Saudi Arabian style — and you don’t have to pit or be pushed back to the garage to achieve this level of transformation. If you had taken the more traditional “Waterfall” approach you would just now be getting to the point of testing your site for the first time and hoping that you “guessed” right as to what your audience likes and dislikes. This would have been a very scary place to be and a cause for great alarm should things go wrong. But because you’ve learned from a Saudi Daredevil how to shift your mindset and change your website's “tires” on the racetrack, you have given yourself the advantage and the ability to move past your competition as they sit idly by waiting for service. Congratulations. You have now worked through all the major hurdles with your site as they surfaced in real time. Don't stop here and think that your work is done. Keep being a student of your market and learning and growing in relationship with them. Speak their language time and time again and you will eventually reach that place where you realize it was all worth it in the end. Want success in your digital marketing campaigns? It’s important that your SEO team and your sales team collaborate for best results. 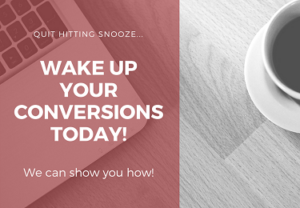 Does Your Website Lead to Conversion or Lead to Confusion? There are a lot digital marketing and SEO promises made, and sometimes those promises don’t come true. If your digital marketing dreams aren’t being fulfilled, perhaps it’s time for a different approach.